The Can Too team is a dynamic group of people passionate about making a difference. We all believe strongly in the Can Too philosophy of fun, fitness, friends and fundraising. Our mission is to engage and inspire individuals and the community to achieve personal health, wellbeing and altruistic goals. We enable and assist fundraising to support innovation in the prevention, care and control of cancer. Peter has a background in State and Local Government, the association and not-for-profit industry. After State and Local Government, Peter worked for Keep Australia Beautiful followed by running the Compost Industry Peak Association before moving into the Rule of Law Institute of Australia as CEO. Peter is also an independent Audit and Risk Committee Member on Shoalhaven and Federation Council. He holds a degree in Environmental Management and a Masters in Business Administration sub-majoring in Business Law and Public Relations. Peter has a proven record in strengthening organisations’ public profile, relevance, program reach, funding diversity and financial sustainability. He is passionate about developing effective organisations to better support the communities they serve. 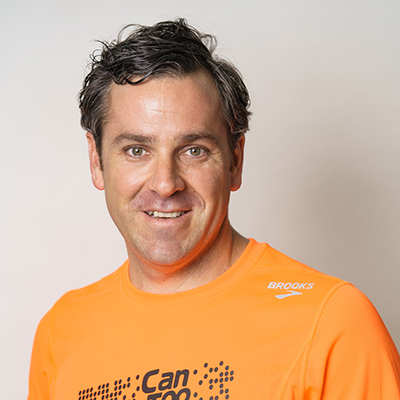 As a keen triathlete and fundraiser for charity, Gary is closely aligned with the Can Too principles of improving health and wellbeing in the community and supporting the research, prevention, care and control of cancer. Gary joined the Can Too team in 2015, overseeing all financial processes and analysis. 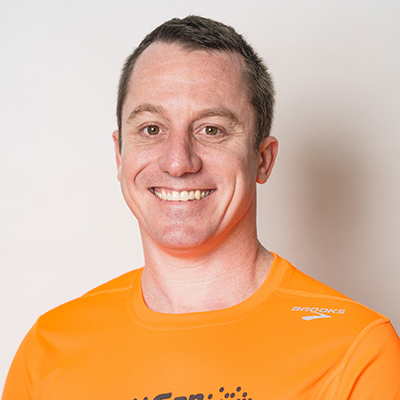 Gary has a Bachelor of Commerce, an MBA and is a member of CPA Australia. He has also completed the AICD Company Directors Course, is a former Board member of a Not-For-Profit organisation and a long term community volunteer. “I love pulling on the orange surrounded by the buzz of anxious or excited Can Too participants before an event. Like my colleagues at Can Too I believe that everyone can experience athletic achievements that they never thought possible. I encourage you to set your goals high and take your first step by getting involved in one of our very personalised and motivating training programs." Marty joined Can Too in 2015 with a broad background in marketing, communications, and events. Marty was signed up to the Sydney Ocean Swim by a workmate. What was just a personal summer challenge at the time turned out to be a pivotal moment that changed the entire course of his life. “I was a heavy smoker, unfit, new to Sydney, feeling disconnected after an unplanned two year sabbatical living on a tiny island in Thailand. When I signed up for the ocean swim, I genuinely didn’t think I’d make it through the program let alone the race. Yet 14 weeks later I’d smashed a 2.7km ocean swim, made new friends, met my (now) wife, and supported cancer research and three years later I've even run a marathon. 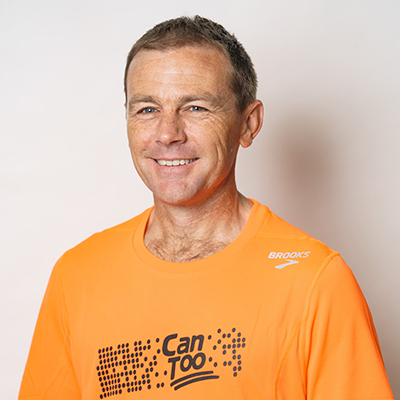 Training for endurance events with Can Too has taught me a lot about life: balancing determination with patience, confidence that comes from putting yourself out there, and that if you believe in yourself we’re all capable of a lot. I love being out in orange on race day and getting cheered on by my fellow Can Too-ers — there's just nothing like it!" Emma has a background in television production, journalism and as a communications specialist in both the private and public sector and across a range of industries and subject areas, including healthcare, wellness, business, government regulation and advocacy. She holds a Masters and Graduate Certificate in Journalism and a Bachelor of Arts degree in Communications. 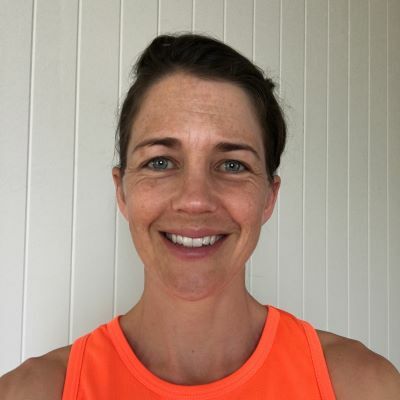 As a keen triathlete she is passionate about health and wellness and knows the importance of prioritising health and fitness after losing a loved one too early from heart disease. 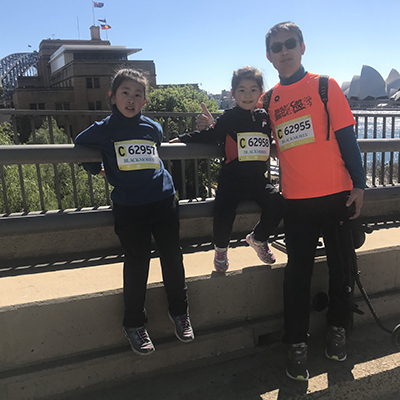 Before joining Can Too Sharon could not run a kilometre or swim, four years on she has completed 11 programs including ocean swims and half marathons. She is a volunteer member of the Inner West training group’s leadership team. In this mentorship role she has helped hundreds of participants to achieve their fitness and fundraising goals. After 20 years’ experience in the travel industry in customer service with her passion for Can Too’s vision Sharon found that she was a natural fit for the community and became the Foundation’s Program and Fundraising Coordinator. Her professional role is key to managing goal events, coordinating donor and participant fundraising and encouraging participants on their Can Too journey. As she has seen family members suffer from cancer she is passionate about cancer research and finding a cure as well as motivating people to be achieve what they once thought impossible. As Can Too’s Team Captain & Mentor Coordinator, Simone sources inspiring and committed volunteer training pod leaders from within our wonderful Can Too community. Simone started volunteering her time as Guest Speaker Coordinator for Can Too pods before joining the team part-time in her current role in late 2016. After losing her father to cancer, Simone finds her work with Can Too, supporting cancer prevention and research, even more rewarding. 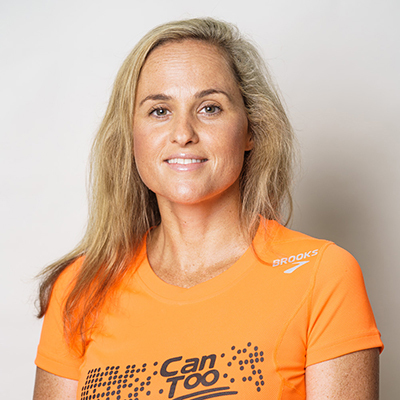 Simone divides her time between the Can Too office and supporting our Can Too-ers at training sessions at track, on long runs, in the pool or in the ocean. 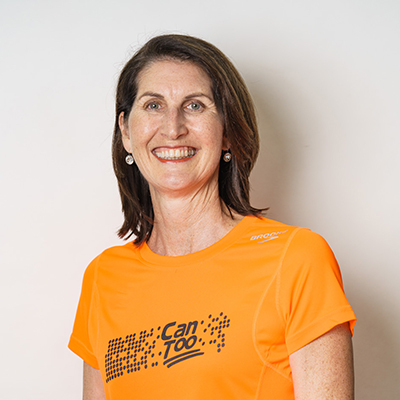 As Coaching Coordinator, Penny is responsible for sourcing the best coaches in New South Wales to ensure our Can Too-ers get over the line on race day fit, smiling, and injury free. Before coaching, Penny had a career as an Art and Artefacts restorer working in Australia’s top museums but decided to leave the world’s treasures behind to pursue her passion for helping people achieve goals they never imagined possible. 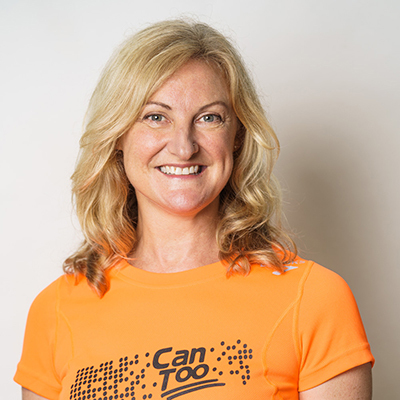 A keen cyclist, Penny isn’t opposed to throwing on Lycra of any kind and is often seen on the running track or in the swimming lanes encouraging our Can Too-ers. Amy has been the Brisbane Program Manager and Run Coach since 2010 when we first started Can Too in Brisbane. Amy spent 7 years in Corporate Marketing and Event Management before pursuing her love for health & fitness in 2009 and started her own Personal Training Program. A lifetime of running means Amy feels right at home on land, not in water. However it was Can Too that helped her succeed at completing a 2.5km open water swim. Kirk started with Can Too in late 2015. He holds a Bachelor of Finance and Master of Commerce. He is also a member of the CPA. He performs all processing of financial transactions for the Foundation. “I’m very proud of being a Can Too-er. At Can Too I've met incredible participants and work with amazing colleagues. I love the spirit of Can Too, to set a goal and never give up, you Can Too!"